Cosmic BirthProcesses : Blown Sphere’s, Sandblasted, Cut, Polished, Sagged, Stained Maple Base. 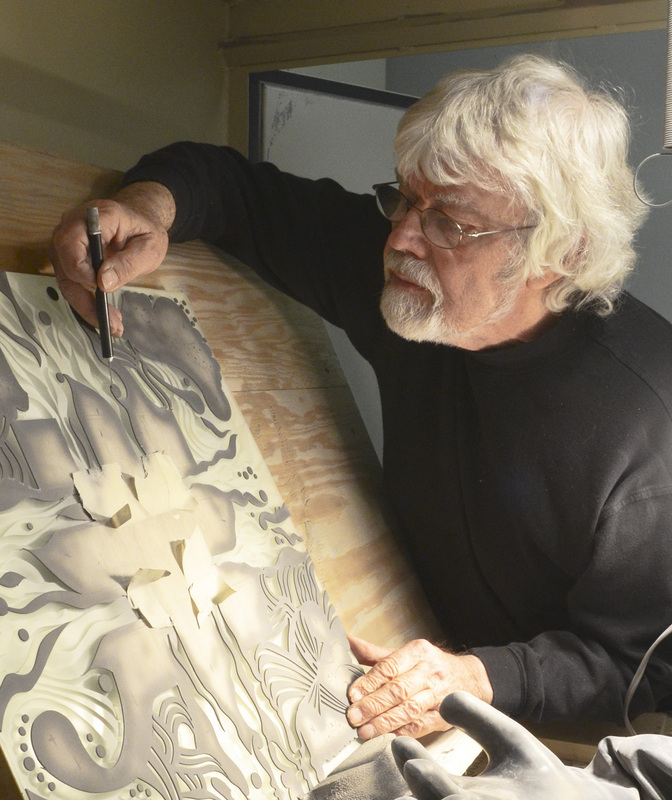 Eric Hilton arrived in the United States in 1971 and became an art consultant for Steuben Glass in 1972. Steuben Glass has been producing glassware from colorless, optical glass for more than one hundred years, and Hilton highlights the material’s purity in his mathematically precise sculptures. He is inspired by remote, hostile environments, and his work draws the viewer into a mysterious and seemingly infinite world of turbulent oceans, polar ice caps, and galaxies.